A few decades back, indoor games were all about chess, checkers and carom. But today the tables have completely turned with advancements of technology in almost every field. The definition of indoor games has been changed. We hardly see anyone playing checkers today. PC Games, Play station games, Motion Sensing games are the in thing. PS3 games is probably one of the most advanced and sophisticated version of this trend. As you know, Play Station 3 is a home video game console developed by the Sony Computer Entertainment. Once you own this console, you will definitely go for the best games to make your gaming experience an amazing delight. We therefore have come up with the list of the Top 10 Best PS3 Games of 2013. We will also be discussing about the pros and cons of the games with respect to graphics, game play and sound effects. We will also provide you glimpse of the sales and marketing of these games. 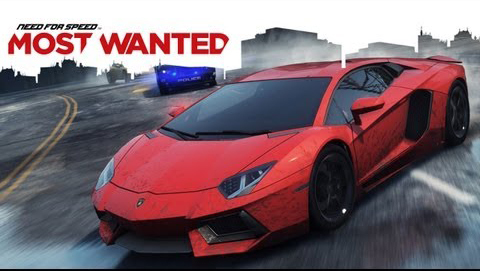 NFS Most Wanted is one of the most popular racing video game developed by Criterion Games and published by Electronic Arts. It is the Nineteenth edition of the NFS series and was released on 30th October, 2012. The gameplay adopted by this game is non linear presenting the players with challenges that can be completed in any preferred sequence. This game allows a player to select a car and compete against other racers in three types of events namely Sprint Races, Circuit Races and Speed Runs. Ambush races are also present in the game which starts off with the player surrounded by cops and the player is given the task to evade the pursuit as soon as possible. Cops are also deployed in racing events and are assigned the task of blocking the speeding cars and arresting the drivers. They employ various tactics like having road blocks and having SUV cop vehicles at strategic locations to track and get hold of speeding cars. The actions are shown to be happening in the city of Fairhaven. Destructible Fences, billboards and drive through repair garages make this game look more realistic. There is this Autolog feature that helps players to compete with their friends online. The Marketing and Promotion of this game were adopted on a large scale. The promotional activities included a contest where Facebook users could ‘like’ a picture and get a chance to win a kit which included an iPhone 4S, an iPad 3, a pair of converse shoes, a Get Wanted Cap and a copy of the game. It was welcomed by people of all genres including the critics. It also won an award as the Best Racing Game. It received 86.46% on the Game Rankings and sold 5 million copies throughout the world. I guess you can calculate the money it gathered! Hitman: Absolution is an Action – Adventure Video game developed by the IO Interactive and runs on IOs Glacier 2 Game Engine. It was released on 20th November, 2012. The game is set on a developer built town named Hope near Chicago. It is mostly about enemy patrol, missions and shooting. The story line of this game is, Diana, Agent 47s handler suddenly loses mind, carries on a catastrophic sabotage and leaks the agency’s secrets publicly. Now, the agency under Travis is assigned the task to kill Diana and to get back the kidnapped child Victoria. But, 47 doesn’t execute this mission and comforts Diana who is about to die due to an ailment. Diana dies leaving Victoria to 47. Agent 47 hides Victoria and soon gets to know that one Dexter has plans to kidnap Victoria. 47 soon get to know that Victoria has a necklace which gives her superpowers. He also comes to know that Dexter is behind Victoria for the same Necklace. You will see that the game is filled with an action packed battle between Dexter and 47 where 47’s mission is to fight out Dexter and save Victoria. The player is given the role of agent 47. 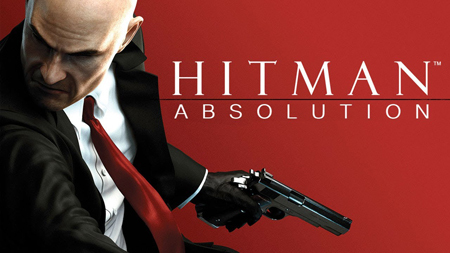 As a part of marketing and promotion, Hitman books and accessories were launched pre-release to the game. This game is described as remarkable with extraordinary screenplay and graphics by the gaming world. It could sell more than 5 million copies. The technical issues it had were taken care off quite efficiently too. Tomb Raider is an action packed video game developed by Crystal Dynamics that was released on 5th March of this year. It is set on an island named Yamatai. 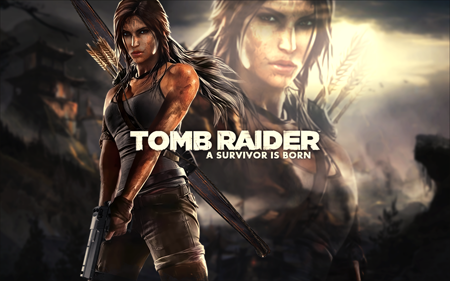 The lead character is Lara Croft who is assigned the mission is to save her friends and escape from the island. However, she is hunted by a rebel group. This game is mostly about exploring the island and the tombs present, survive and ultimately escape out with her acquaintances. After much hype and anticipation, the game was released and was applauded for its gameplay, its terrific graphics and story line. The game is also available in the multiplayer mode. It involves RPG elements which help the player earn points by performing certain stunts and actions. These points can be used to gain Health and Ammunition. Lara Croft’s animated model remains the center of attraction of this game. The Performance Capture Technology makes this model look original. It also has other additional features and maps that can be easily downloaded from the internet. It has received the GamesMaster Gold Award and is described as amazing and refreshing by the gaming world. It had commercial success with more than 4 million copies being sold in a short span of time after its release. It has made a record of selling 1 million copies in 48 hours. 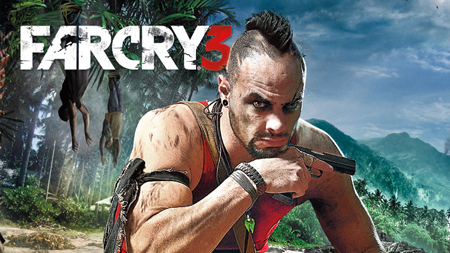 Far Cry 3 is a shooter video game developed and launched by Ubisoft for PS3. The game was released in the year 2012 and is set on an island. The theme of this game goes this way, the lead Jason is on a mission of saving his friends from the clutches of pirates and to escape from the island unhindered. Its interesting elements include experience points, skill trees and a crafting system. The player is allowed to hide behind trees or bushes to break from enemy’s line of sight. It has a map mode wherein players can survey and plan out their attacks. Completing a Mission unlocks new skills and new side quests. The cinematic showing at the beginning of the game is terrific and garners applause. It has a good story line which gives you the feel of being in a real time forest. Eurogamer gave it a rating of 10/10 and its characters, story and the environment were praised by the gaming world. It had recorded a sale of 5.5 million copies by the end of March, 2013. 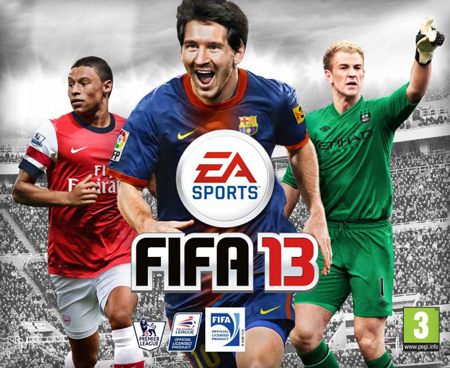 Fifa 13 was developed by EA Canada and was released in late 2012. In the pre release phase the demo of the game itself created a mark by recording huge number of online downloads. A new Kinect feature has also been introduced with PS3 thereby enabling precise shooting. Some of the World’s Best Football leagues are included in this game which comes to 30 teams in number. It also includes all the national teams and Rest of the world. The modes include career, seasons and ultimate mode. There are 26 stadia almost resembling the true ones. The Scoreboard is similar to the one shown in the ESPN Sports channel. It is because of all these factors that the game looks amazingly real. The Cover Page for this game features Lionel Messi which itself is a selling factor. This game was referred to as revolutionary in the field of EA soccer arena and was successful in earning a score of 8/10 from the Gaming World. But it has been highly criticized for its unnatural collision effects. But considering its 14 million plus sales across the globe, it was definitely a blockbuster. 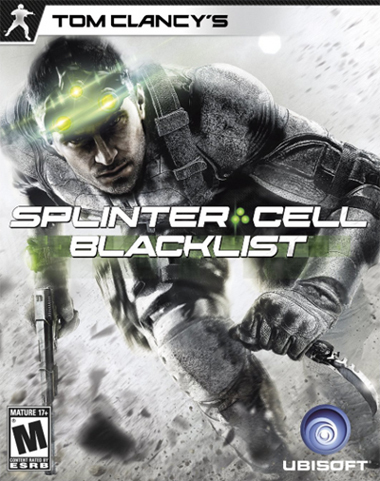 Splinter Cell is an action game released for PS3 by Ubisoft. It has been recently released on 20th August, 2013 and introduces a new gameplay mechanic called Killing in Motion. This mechanic helps the player to eliminate objects quickly by highlighting them. It is set on a third person perspective and as such the protagonist and other objects are visible. This game is all about wars, bombings, terrorists and killings. It is related to the American troops and rebel groups. The player is allowed to take the role of Commander or any related characters. The multiplayer mode of this game is also possible and use of words/noise/sound to distract the enemies can be done with Kinect. It had a stormy pre-release when some of its voice actors were not well received by its fans. Censoring had to be done pre-release and the game reached the market after editions. However, it received positive reviews pre release and received GameRatings of 86%. It was highly appreciated for its gameplay, mechanics and story. It did have a few technical issues which are being sorted out at the moment. The Walking Dead is a Graphic Adventure (Episodic) based on a book series. 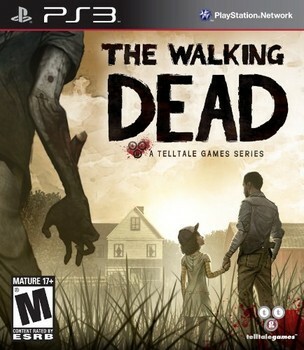 It was developed by Telltale Games and was released for PS3 in the year 2012. It is seen to be focusing on the events that occurred shortly after Zombie Apocalypse in Georgia. The story line goes this way: the central character is a university professor who is convicted of murder charges. His task is to rescue a young girl and ultimately care for her. It is strictly a story oriented game and dialogues of characters are quite important in the game. It also includes downloadable content. The marketing strategies adopted were unique as it postponed itself so that it could ride on the popularity of then running TV show: The Walking Dead. It won over 80 gaming awards (Game of the year awards), had more than 8.5 million copies sold and a lot of online extensions downloaded. 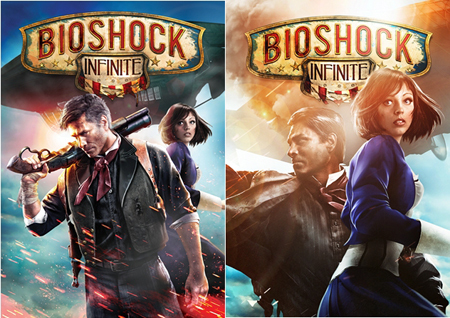 BioShock Infinite is a shooter Video Game developed by Irrational Games. It was released on 26th March earlier this year. It is an inspiration from the historical events of the 20th Century. The story revolves around a Booker who is in search of Elizabeth who supposedly has been made captive by miscreants. When he could finally rescue her, real issue begins with city’s factions making warnings to them asking them to leave the city. Meanwhile, Booker comes to know that Elizabeth possesses super natural powers. This game is all about the protagonist’s fight against hostile forces. Elizabeth’s support is a pro for Booker. It is set in the city of Colombia. It is all about weapons, gear, psychokinetic powers, war and destruction. Mind games are prominent. The employed Unreal Engine 3 is technically well advanced and provides the needed inputs to the game. The backgrounds, environment and buildings are perfectly portrayed. As a part of advertising the trailers were innovative enough to create the required anxiety among gamers. The attractive covers and media tie ups were all a part of marketing. It could win various awards like the Best Original Game, Best Adventure Game and Best Graphics. It won 89 editorial awards apart from the 4 million plus sales it had worldwide. It did face certain controversies on the grounds of racism and extreme religion. However, it was able to convert this controversy for its good. 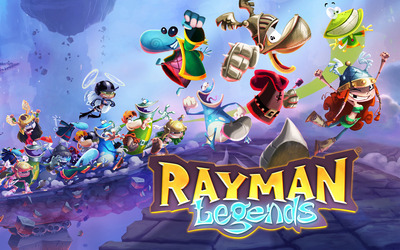 Rayman Legends was developed by Ubisoft for PS3. It involves a graphic avatar carrying on the tasks. It was launched on 29th August, 2013. The game can be played by four players (3 male and 1 female) who can simultaneously make their way through various levels. You have to collect Lums by touching them, by defeating enemies or by freeing captured Teensies. It includes 120 levels with each level getting unlocked one after the other. It has received various accolades with the gaming world as it refers it to look natural. The gameplay is amazing with new twists every time. The GameSpot rated this game as 9/10. The only con of this game is its online version as there is no online multiplayer version for this game. 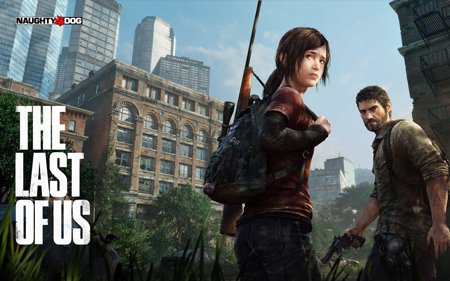 The Last of Us is an Adventure-Horror Video Game developed by Naughty Dog and published by Sony Computer Entertainment exclusively for PS3. It was released on the 14th of June of this year. The player plays the character of Joel who is treks across USA along with Elllie. He escorts the later to a resistance group who believe Ellie is the key to find cures and remedies to all the diseases that have struck the world post Zombie Era. Joel has to defend himself and Ellie from Zombies, Fungus, Bandits and Cannibals with fire arms, guns and stealth. The health and medicine criterion is provided in the game. It has received high acclamation for its story, theme, art design, level design and characterization. It is referred to as a Seventh Generation game by the gaming world. It could make a record of having more than 4 million copies sold in just four weeks. Thus, truly deserving the top position in our list.